Love the note board display! Those mary janes by netamir have been on my wishlist for a long time! 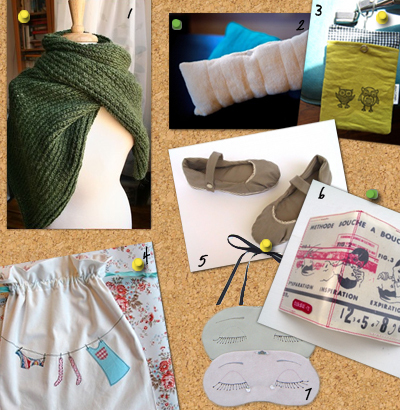 Thanks so much for featuring my laundry bag! Thank you very much for featuring my mary janes, your blog looks great! Monica, i love the appliqué on it too - so cute!